75% off or more! 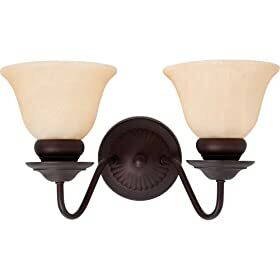 Indoor/Outdoor Lighting Sale at Amazon! Plus Rebate! They have some great prices, plus if you spend $250 or more on lighting or fans, you get a $50 amazon gc. If you're building or want to replace some of yours, these are a steal!! There are lots more, but I gotta run! Just search under globe lighting at amazon. Good luck! Last edited by Jodi; 09-07-2007 at 01:49 PM. Wow. Great prices and the reviews are all pretty positive. Ordered a few and hoping dh likes them enough to hang them . 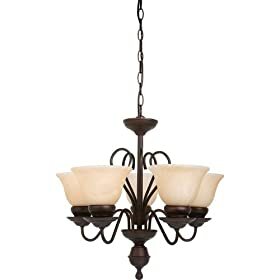 Receive a $50.00 gift certificate via email for a future purchase on Amazon.com when you spend $250.00 or more on select lighting or ceiling fans offered by Amazon.com Home Improvement. Price: $8.00 & eligible for FREE Super Saver Shipping on orders over $25. Price: $5.28 & eligible for FREE Super Saver Shipping on orders over $25. Thanks so much! 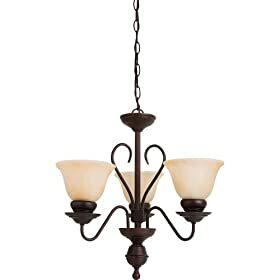 We are redoing the kitchen after it flooded and I got 1 chandelier and 6 pendants for $132 shipped! WOW! Thank you! We are buying a house and hated the lighting! I just got 2 chandiliers, 3 outdoor lights, 1 hall light and 2 flush globes for $116 shipped!